Sun Lakes Homes for Sale in the $300,000 – $400,000 price range offered by Becky Kolb with The KOLB Team and ReMax Infinity. The Kolb Team is Sun Lakes AZ top producing real estate team. Sun Lakes Arizona is an active adult Robson developed community in the southeast valley of Phoenix bordering Chandler. Homes in the $300,000 to $400,000 price range can include golf course lots, private lots, walking path lots and homes that back to a greenbelt. They can include single story or two level homes. All two level homes offer main floor living with the master suite on the lower level. This home featured on the right is located at 9902 Elmwood in gated Oakwood Country Club and is situated on a cul-de-sac lot. It is priced at $359,000 in the middle of the $300,000 to $400,000 range. Homeowners in Sun Lakes enjoy resort amenities including swimming pools, golf course, tennis and pickleball courts, fitness center, walking paths and lakes, restaurants, card clubs and many social organizations making it easy to make new friends quickly. Homes in the $300,000 to $400,000 price range offer two to three bedrooms, two to two and a half baths and sometimes a separate den or office. This home at 9902 Elmwood offers a separate guest house. 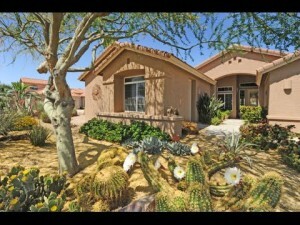 See Sun Lakes homes for sale $300,000 – $400,000 or see MySunLakesHomes.com for all Sun Lakes AZ Homes for sale.